Qatar Announces Visa On Entry | Karwan-e-S A Travels & Tours Pvt. Ltd.
DOHA, Qatar – Qatar’s Ministry of Interior (MoI), Qatar Tourism Authority (QTA) and Qatar Airways today announced that Qatar will allow visa-free entry for citizens of 80 countries, effective immediately. According to Hassan Al Ibrahim, Chief Tourism Development officer at QTA, visa facilitation is a critical component of the national tourism sector strategy, which QTA is currently reviewing in partnership with stakeholders from the public and private sectors. With renewed focus by the country’s leadership on diversifying the national economy, a revised strategy which empowers various players to boost the growth of tourism is set to be launched on 27 September 2017, when Qatar hosts the official celebrations of World Tourism Day. 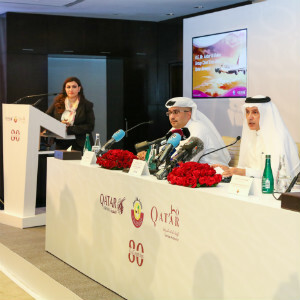 QTA promotes Qatar as a destination around the world, through its destination branding, international representation and participation at trade shows, and by developing a rich calendar of festivals and events. With a growing international presence, QTA’s representative offices in London, Paris, Berlin, Milan, Singapore, Istanbul, New York and Riyadh support QTA’s promotion efforts.